Many people think that you can filter spam in Thunderbird by just enabling the spam filter. Unfortunately it is not that easy, but that does not mean that spam filtering in Thunderbird is in any way difficult, it is actually a very simple task. Every individual has different e-mail preferences, what one person sees as spam is not necessarily spam for another. This is why you need to train your spam filter, so that it can filter spam according to your own personal preferences. Spammers change their tactics quite often in order to bypass the spam filters. 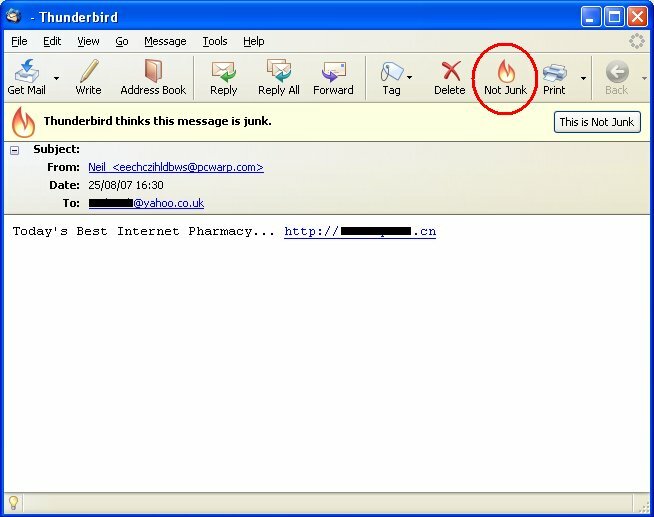 A Bayesian spam filter like Thunderbird's is very effective against these changes, because it can adapt to the new techniques through training. You can easily tell Thunderbird which e-mails are slipping through its defences so that it can be on the lookout for similar e-mails in the future. 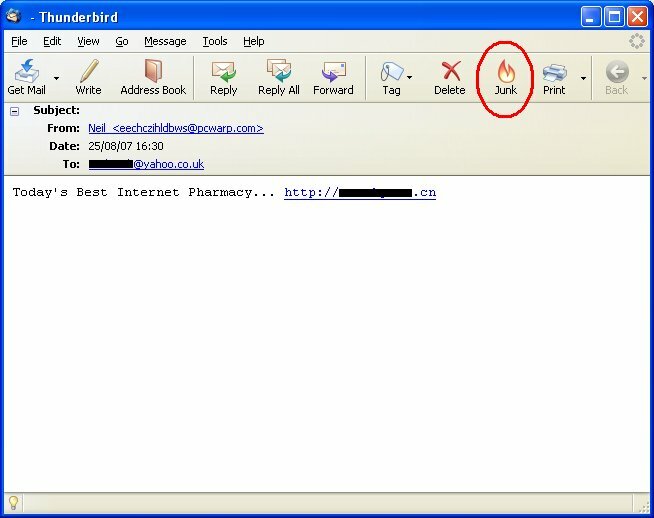 Thunderbird may not filter a new type of spam by just training it with one of these e-mails, it might actually take a couple of e-mails before Thunderbird gets it right. 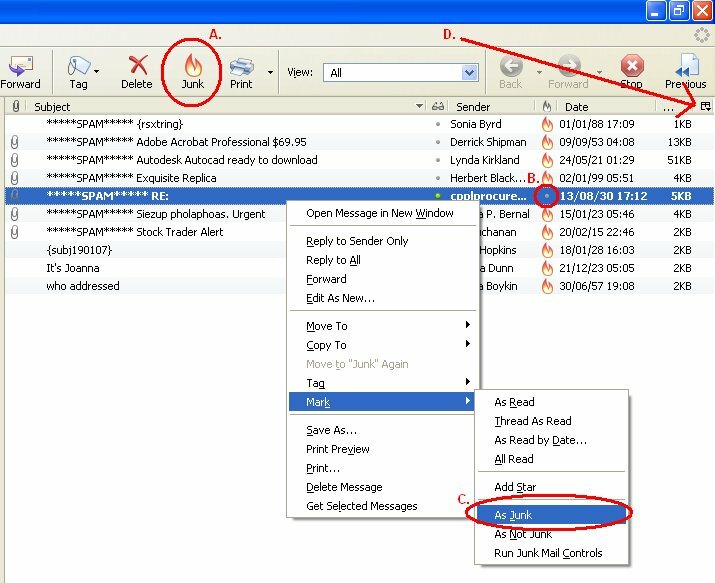 C. Right-click on the e-mail you want to mark as Junk, go to 'Mark' and click on 'As Junk'.